How the country's ban on cryptocurrency trading has impacted the Chinese market. A few weeks ago, RadarZero reported how important China has become to the development of blockchain technology. Despite this, the country is still openly working to kill cryptocurrency. The People's Bank of China banned cryptocurrency trading back in February and it's had a negative impact on the global market. Of course, that was the intention. At the time, Bitcoin lost 6% of its total value after the ban which ensured a steady price decline. China also declared a major win after creating a risk-free exit for 88 cryptocurrency exchanges and 85 ICO trading platforms. In an interesting update on the country's fight against the crypto market, Express reported that the government of China confirmed the country is losing control over the global Bitcoin exchange market. The country's control has fallen from 90% to 1% and "experts" are genuinely concerned about China completely losing control over the cryptocurrency exchange market in the country. 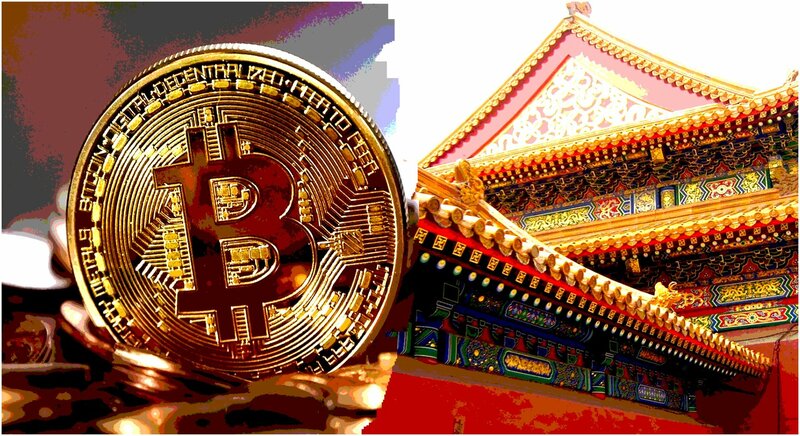 Why is China Losing Control Over the Bitcoin Exchange Market? Over the past year, the Chinese government has been strangling the country's cryptocurrency trading activity. China fully banned cryptocurrency trading, then tightened that ban by requesting local banks to stop dealing with trading platforms and crypto excahnges completely. It's been made illegal to trade cryptocurrencies, and crypto exchanges are forbidden to operate within the region. It's hard to understand why experts believed the Chinese crypto exchange market wouldn't suffer a massive drop when all evidence points to that very clearly being the case. Despite those results, the reason why China has started losing control of the Bitcoin exchange market is because most investors continued to trade Bitcoin, Ether, and other cryptocurrencies despite the ban when they moved to the Hong Kong market. The sudden move of millions of investors into a smaller market resulted in many big platforms demonstrating a premium on the price of major digital assets in Hong Kong. Also, claims about China controlling over 90% of the Bitcoin exchange market are extremely inflated by bot trading due to no-fee trading policies. After local exchanges requested no-fee policies, the trading volume in China dropped by 80% which implied the country has never exceeded 20% of the market. The belief is the Chinese government banned crypto trading to enforce strict capital controls and keep the Chinese yuan from leaving the country. It's possible the ban could be lifted, but the reason for it was never really about cryptocurrency.